There's only one thing we like better than food, and that's food stuffed inside other food, Russian nesting dolls in food format, if you will. Luckily, those taste-tingling geniuses over at Reese's are about to bless us with one such nesting doll Hershey's hybrid. Say hello to the cookie stuffed peanut cup. Uh huh, we know, we feel it too. They're called Reese's Crunchy Cookie Cups and they're basically the same dreamy recipe as the original cups we know and love, only now they come stuffed with chocolate cookie bites too. What a time to be alive. And, before we get on to the sucky news (you know what's coming and no, we're obviously not talking about hefty calories, 'cos FOOD), there's something else you need to know about these cookie cups. They come in not one, but two sizes - yep, two. So if you want all the peanut butter in and around your mouth, then the king-size packet should satisfy every one of your tastebuds. Hubba-hubba. And the elephant in the room? You guessed it. 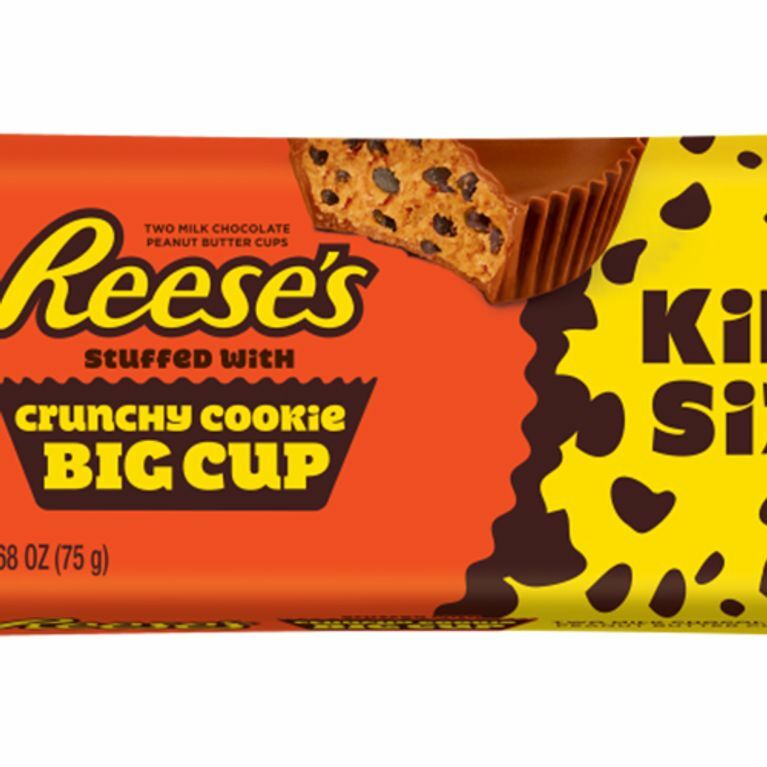 America gets all the good snacks first, so looks like we'll have to wait our turn for Reese's latest food innovation to hit UK shores. Oh but when they land, we'll be ready and waiting with our makeshift Metro bibs to catch any fugitive cookie crumbs, they'll see. This Is Not A Drill: You Can Now Buy Tonic Gin & Easter Eggs! Is This The Best Way To End Food Waste?